This story begins at the start of the new year. … and, from these, Little Butterfly was born. Upon joining, you receive a flower avatar and one butterfly token. Butterflies will turn into ghosts if they are not given away to another flower within 24 hours, at which point their time resets. Ghost butterflies can no longer be given away. Visits from a butterfly are a one-time affair; once it is given away, it may never be transferred to you again. Butterflies, whether alive or not, may be burned, moving on. Whenever you give away (or burn) a butterfly, it leaves behind another token, a heart with its memories. This token is also a collectible, and have no restrictions on transfers. In hindsight, this makes sense — no intentional advertisement had been made for the game, and while MetaMask is great for people who are already familiar with cryptocurrency, trying to reach a new audience is a bit trying. The idea behind their product is great — allow people to interface with the blockchain through their cellphones, without needing to install special software. 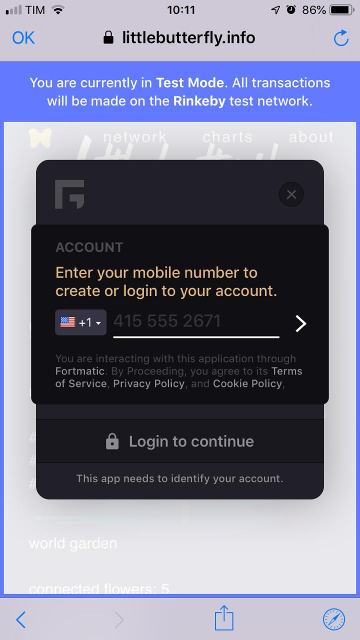 The account is managed by Fortmatic, though Sean has mentioned that there may be plans to allow exporting the keys in the future. I found their product still during private alpha, and had a great support experience. Now people might be able to look at their butterflies, flowers, and hearts on their cellphones — and let them go more easily. As a bonus, for the Rinkeby test network, they also add 1 ETH when signing up — all the better for new user retention. 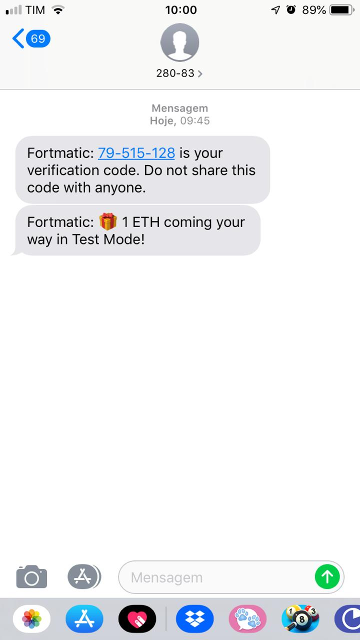 Thanks Fortmatic! 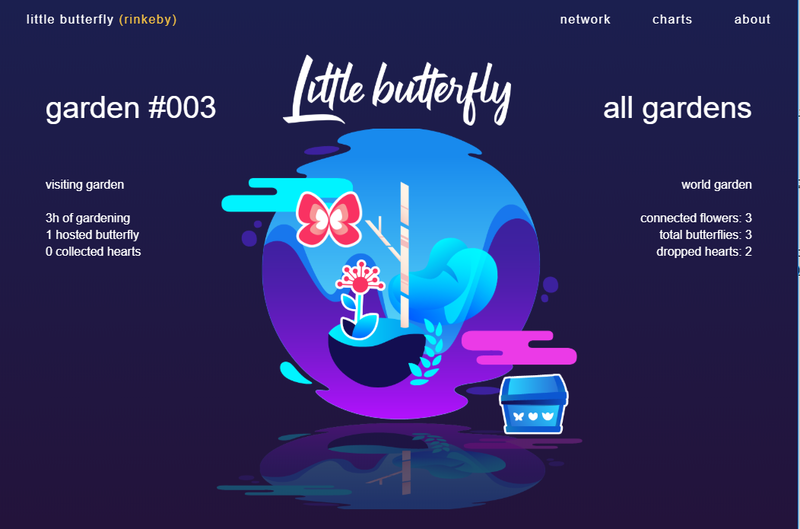 Code for Little Butterfly is released at GitHub. Contracts are verified on Etherscan for mainnet, Ropsten, Rinkeby and Kovan — Fortmatic currently only supports Rinkeby and mainnet, but that may expand in the future. Website is up on itch.io and directly at littlebutterfly.info. Item browser is available on opensea for Rinkeby and mainnet.